Of all the automakers displaying their wares at this year’s show, a strong case can be made that not one has had the kind of year Meccanica has just experienced. And we mean that in a good way. That’s quite the headline grabber, isn’t it! Obviously the Solo isn’t for the same market as the Tesla, but it may attract potential buyers that want to go electric and aren’t that flush (like me). To read the article visit http://bit.ly/SOLOthestreet. Doug Stokes of Lacar Reports reviews the Solo here. “Transportation is the single largest source of greenhouse gases (GHGs) comprising 39 percent of our emission, According to the BC government. Is a 3 wheeled electric car the future of commuting? 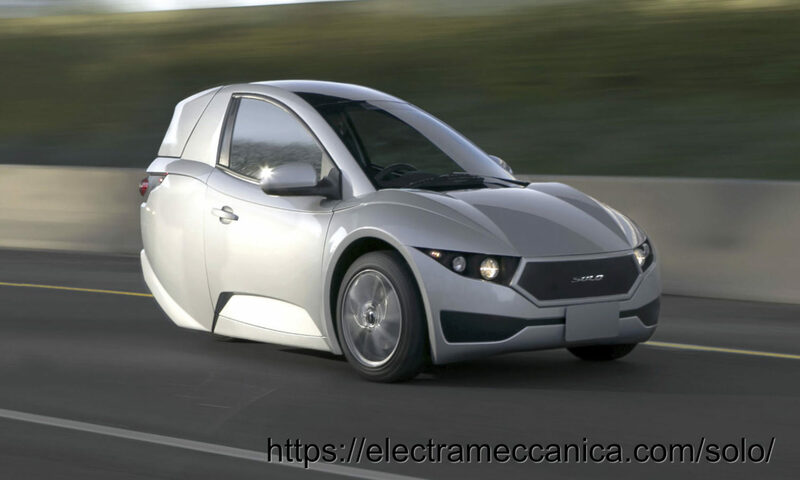 “VANCOUVER, British Columbia, Oct. 03, 2018 (GLOBE NEWSWIRE) — Electra Meccanica Vehicles Corp. (NASDAQ: SOLO) (“Electra Meccanica” or the “Company”), a designer and manufacturer of electric vehicles, today announced that the company is preparing to open its first U.S. SOLO single-passenger EV dealership this month in the Studio City portion of Los Angeles, CA. The dealership, at 11685 Ventura Blvd., is on the corner of Ventura Blvd. and Colfax, sandwiched in between Laurel Canyon Blvd. (one of LA’s busiest streets) and Universal Studios. According to LA Department of Transportation records, more than 35,000 cars pass the location on a daily basis*. Personally I think this is a smart move. 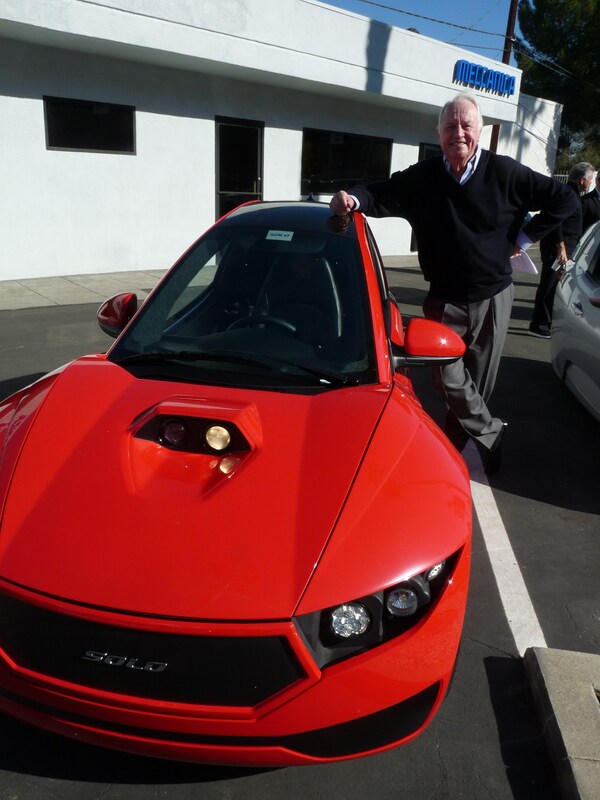 The engine will likely have twice the horsepower Elio was projecting for their engine, so with the light weight of the Elio, that should make the car (or autocycle, if you prefer) very quick. Secondly, it should allow Elio to bring the car to to market more quickly, which is a bonus considering how long we’ve all been waiting. Third, if it’s coming from an established automotive manufacture, the engine should be more reliable. There’s some speculation that the engine could be coming from Ford, since they’re mostly getting out of the automotive business. An Ecoboost 1.0 L turbo would be nice in the Elio, wouldn’t it? ElectraMeccanica Vehicles Corp., a designer and manufacturer of electric vehicles, announced today that it will work with 7-Eleven, Inc., the world’s largest convenience retailer, to take to the streets of Vancouver, British Columbia, with two of its all-electric, single-passenger SOLOs. The new-to-market, three-wheel electric vehicles will be used to promote 7-Eleven’s delivery service, saving customers’ time while helping the environment. This exciting new collaboration has the potential to expand in the future. For more information see https://www.prnewswire.com/news-releases/electra-meccanica-announces-collaboration-with-7-eleven-canada-300706779.html.